It's been nearly two decades since Savage Garden hit mainstream pop success, and despite their absence, you best believe the Australian duo won't let anyone take their group's name in vain — let alone a new bar over in England. 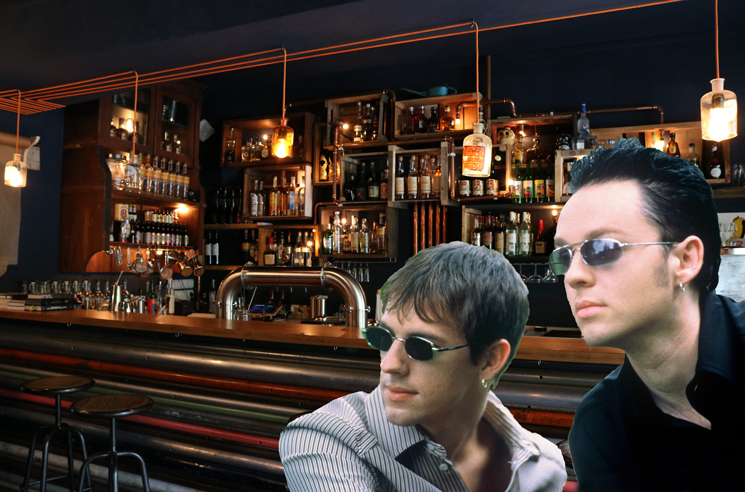 As NME points out, Savage Garden took issue with a new watering hole named Savage Garden Bar in London earlier this month, tweeting at food and drink consultants Gorgeous Group, "did ya do a basic google search to see if the name Savage Garden had been used in a pretty public and global commercial way before you named your bar the same name?" The duo followed up later that day by tweeting at the venue, "Hey @SavagegardenLDN you guys massive fans of our band?" At a passing glance, it seems that Savage Garden were right to inquire about the name at the very least, but their tweets resulted in plenty of listeners alleging that their band name might not have been all that original to begin with. Multiple users noted that the name could be a reference from Anne Rice's 1985 novel The Vampire Lestat. Yo @SavageGarden - did you do a peripheral skim of Vampire Lestat before you came up with your name, or are you referring to the honourable Viscount Savage from the 17th Century... and also because gardens are cool? The most devastating own came from a user who pointed out that the bar's location is to the left of a street named Savage Gardens, as you can see with the map below. An ensuing history lesson from another user revealed that the name of the street dates back at least three centuries. And as the cherry on top, one user pointed out that the band's successful song "Truly Madly Deeply" shares the title of a British drama that predates the track by seven years. Yo @SavageGarden did you google search the words Truly Madly Deeply before writing your song to find it was the title of a film a few years before? Neither the group nor the establishment has tweeted about the name further, though we suggest settling any remaining hard feelings over a drink.